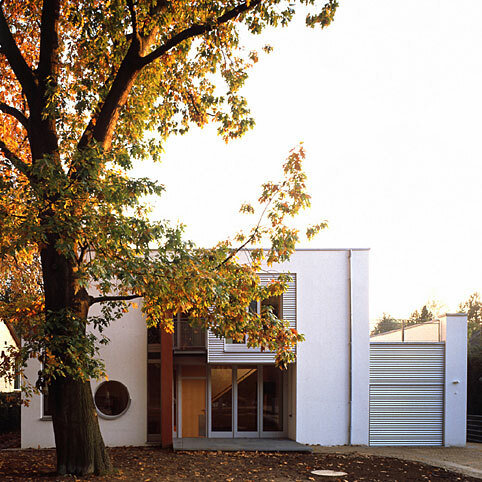 A compact cube-shaped private residence with an ancient oak tree outside the front door. We have created a red-painted wall that divides the layout on both floors. It leads from the entrance through the lobby, the living area and the terrace into the garden. It divides the work area from the living area, children from parents but also links north with south and interior with exterior. The glass rotunda provides a bright and airy living space, this is the heart of the house, a place where family and guests can play, cook, eat and socialise.